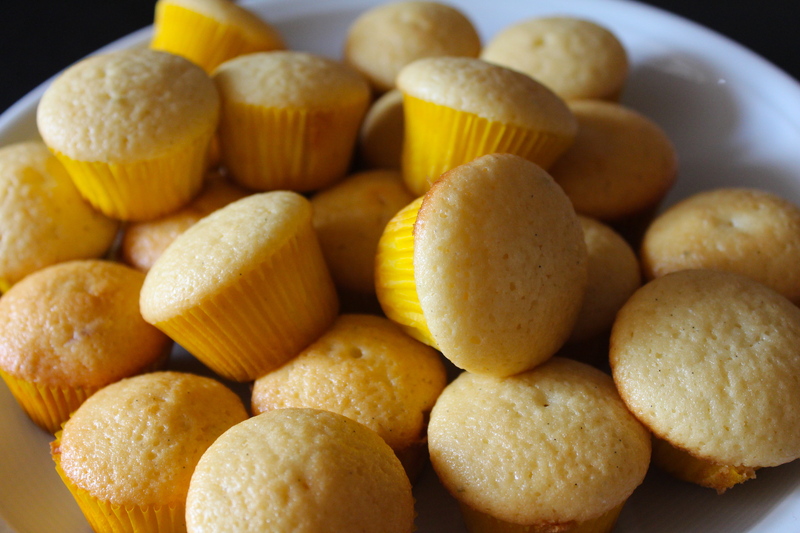 Fill the cupcake cups 3/4 with the batter. Put the lemon zest and juice, the sugar and the butter into a heatproof bowl. Sit the bowl over a pan of gently simmering water, making sure the water is not touching the bottom of the bowl. Stir the mixture until all of the butter has melted. Lightly whisk the eggs and egg yolk and stir them into the lemon mixture. Whisk until all of the ingredients are well combined, then let it cook 10 minutes, stir once in a while, until the mixture is creamy and thick enough to coat the back of a spoon. Remove the lemon curd from the heat and set aside to cool, stirring occasionally as it cools. 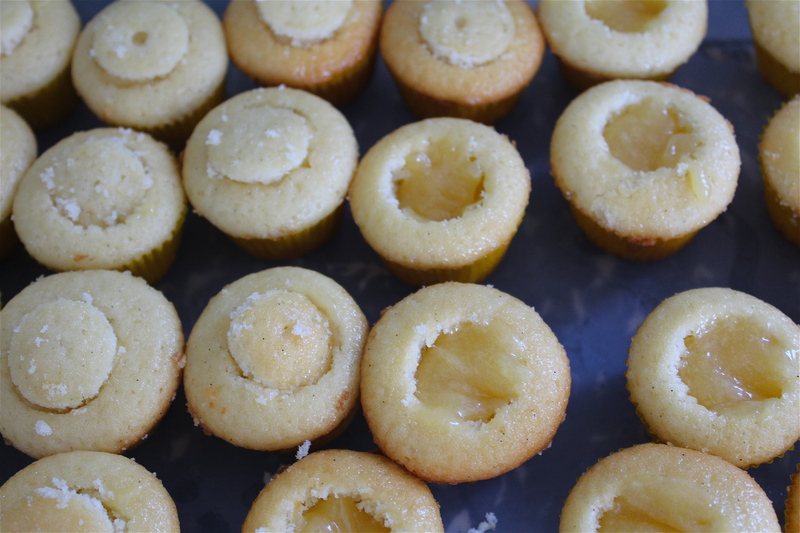 Make a hole in each cupcake and fill them with the Lemon curd. Put the cake top back on. Whisk the egg whites with the salt and add sugar gradually. Continue to whip until stiff peaks form. Continue beating for 2 minutes. 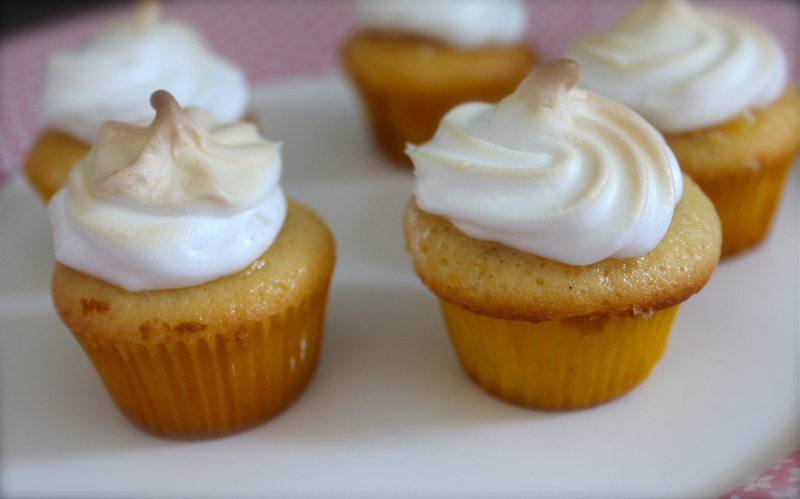 Place the meringue on the cupcakes and bake the cupcakes by 390F (200°Grad) until the Meringue gets lightly golden brown.